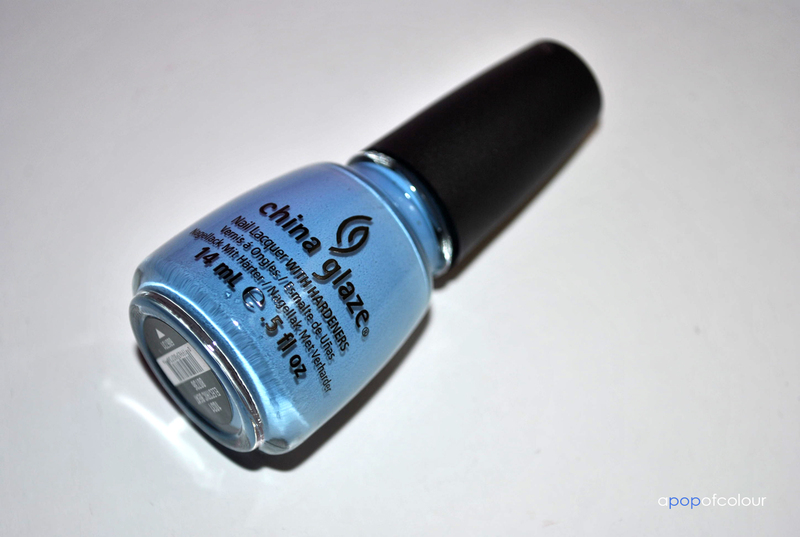 I got China’s Glaze’s Electric Beat nail polish in my March 2012 Loose Button Luxebox, and although the colour didn’t really stand out to me at first glance (it definitely wasn’t love at first sight) I decided to try this one on to see if I liked it better than in the bottle. I honestly cannot say that I have ever received so many compliments on my nail polish in one day before I painted on this colour. 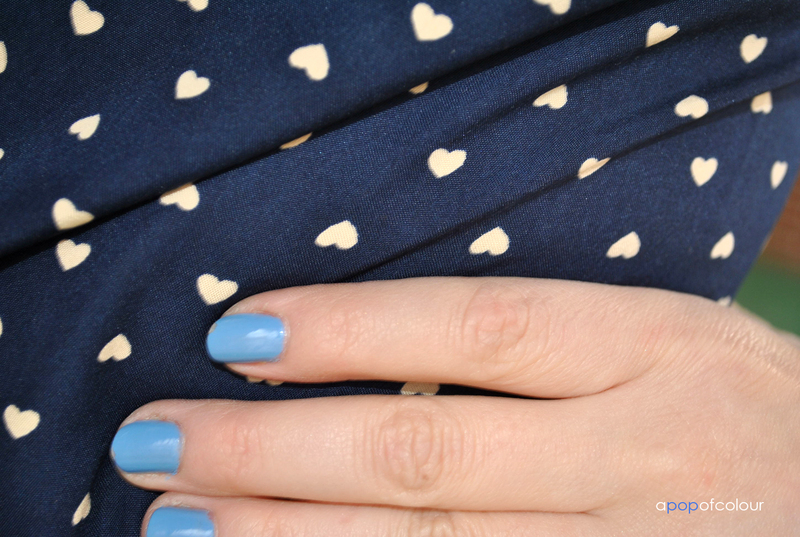 Electric Beat is like a periwinkle blue colour that is really different than any other shade I have in my collection. Now that I have it on my nails I have to say that I really like it. I put OPI’s Top Coat over top, but even without it this colour is very glossy (I’m not a huge fan on OPI’s topcoat, I prefer Seche Vite’s but I’m trying to use this up before I buy a new bottle of the Seche). As for longevity, the colour lasted about two days before some minor chipping occurred. I also used two coats of this because the shade goes on quite opaque. I have seen the whole Electro Pop collection in stores and although no colour struck me as a must-have at first glance, I have myself fawning over Aquadelic and I may be stopping off at Sally’s Beauty Supply in the coming days to pick it up, it’s such a pretty turquoise colour. 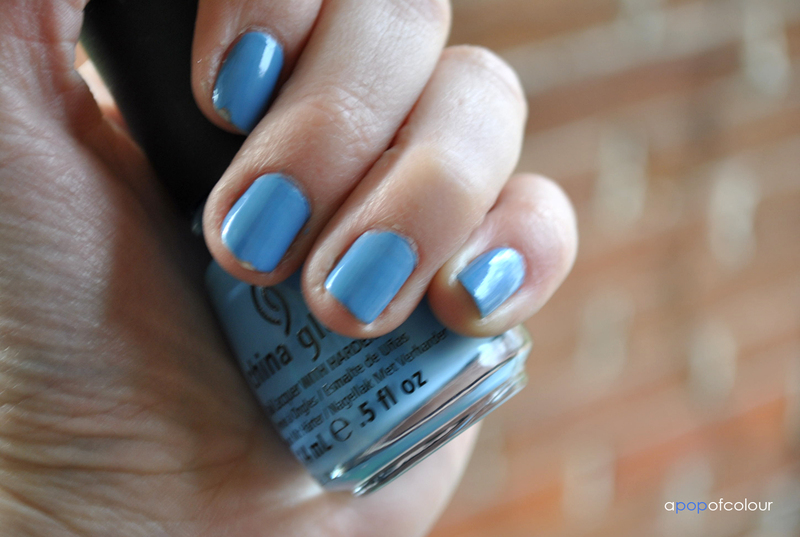 Have you tried China Glaze’s Electric Beat? What were your thoughts? Mama, why are you outside? Also, don’t forget to enter my May 2012 Loose Button Luxebox giveaway! ** Canadians only! March 2012 Loose Button Luxebox and Contest!